Any foreigner who comes to Belarus wants to take away something unique and all-Belarusian from here. 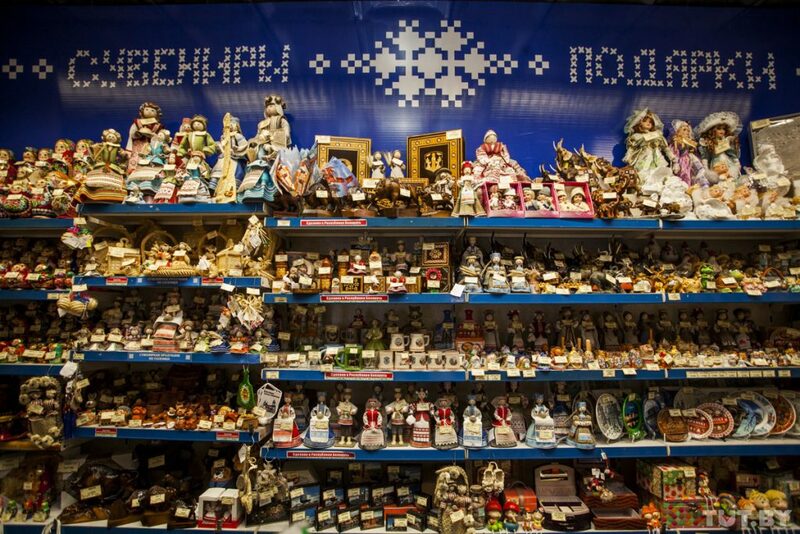 So when it comes to choosing a souvenir, what are the ones with truly Belarusian scent? I am from Armenia but have spent practically all my life in Belarus. I moved here 25 years ago when I was four and knew only two phrases in Belarusian – dobraj ranicy (good morning) and dziakuj (thank you). Now I can say without any doubt that Belarus has become my second motherland, although I visit my relatives in Armenia quite frequently. The most urgent issue, when it comes to going to Armenia, is choosing the best gifts for them. So let me share my long-standing experience in this difficult matter. 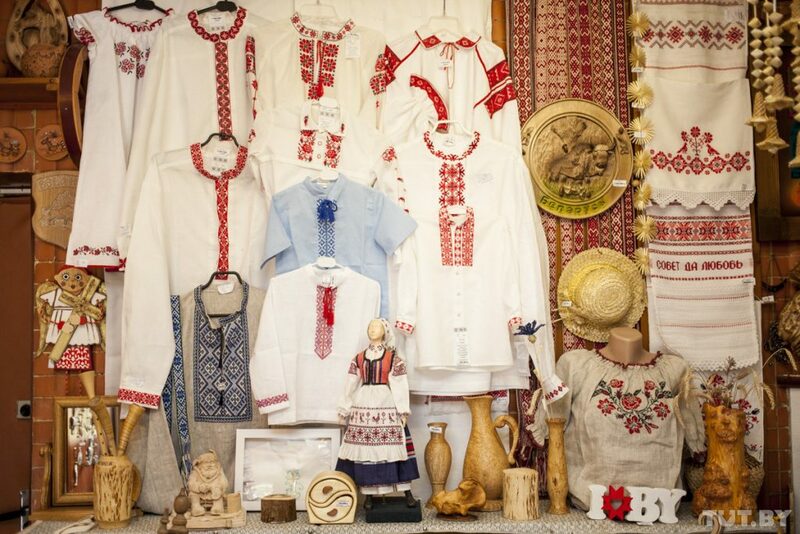 The main materials for the production of traditional souvenirs have been used by Belarusian craftsmen for centuries. The most popular gifts are made of straw, clay, natural flax, and wood. Straw products are a fascinating phenomenon of Belarusian culture with no analogs anywhere else in Europe. People like straw souvenirs because they carry the energy of the sun and bring warmth. You can’t even imagine what masterpieces can be made of this simple material. Straw “spiders” are one of the most mysterious works by local craftsmen. Spiders were believed to protect the house, bring well-being and happiness to the family, and absorb all the negative energy. Every year the old “spider” was burned and a new one was hung in its place. Nowadays straw “spiders” are just a work of art, which can become a perfect interior decoration. When I was a little girl, I used to find clay potsherds everywhere in the yard. Ceramic crockery will be of good use at home. Dishes cooked in clay pots are extremely tasty, and clay whistles will make happy any child. My first acquaintance with flax happened back at school. Students were often taken from their lessons to the field to collect flax. At that time it was just fun, and later I understood what place flax occupies in Belarusian culture. Blue flax flowers decorate the coat of arms of Belarus. Gifts made of this material are ecological and useful for health. You can find a wide range of products made of flax, but the most popular ones are rushniks (towels with embroidery) and amulet dolls. Belarusian ornamental towels are very symbolic, each element of decoration on rushnik has a meaning. Amulet dolls are made of flax cloth without a single stitch and they are believed to protect people from misfortunes. One of the most unusual dolls is called Zhelannitsa. If you attach a ribbon or a bead to it, the doll will make your dream come true. For those who are looking for a more luxurious gift, I’d suggest buying souvenirs stylized as famous Slutsk waist belts. The technology of their production was brought to Belarusian lands in the 17-18th centuries by Radziwill Princess. The length of a belt reached almost five meters, therefore not a single one has been fully preserved until now. Nevertheless, in the city of Slutsk, they revived the unique technology of production. Waist belts made of silk with gold and silver threads cost about 2000 U.S. dollars, but you can find something cheaper with the imitation of belt decoration. The best thing about this souvenir is that you can actually use it for the most practical purpose – WEAR THEM WHEN IT’S DAMN COLD OUTSIDE! By the way, you don’t need to find a souvenir shop to buy them, belt boots are basically the Belarusian UGG boots that, however, won’t cost you $200+. In winter felt boots can be found in shoe shops, in department stores, and even fancy malls. 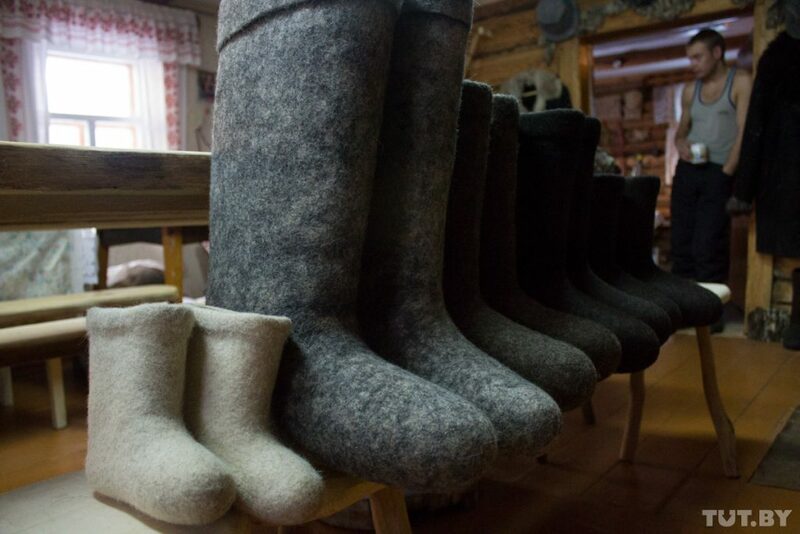 If your trip is during warm seasons visit Samusev, Strana masterov, Valenki workshops for authentic handmade felt boots. The most well-known felting factories are in Dribin and Smilovichi. There they produce felt boots for every taste and budget. If you are looking for “eatable” souvenirs, start with zefir and cranberries in sugar. The first one resembles marshmallow, it is made of apples, sugar and egg white. Sugared cranberries are a real delight and are both tasty and healthy. As for drinks, famous krambambulia – tincture on honey and spices – comes on top of the list. Look for other different kinds of balms (zubrovka, klukovka, berezovka, etc.) in Belarusian shops. 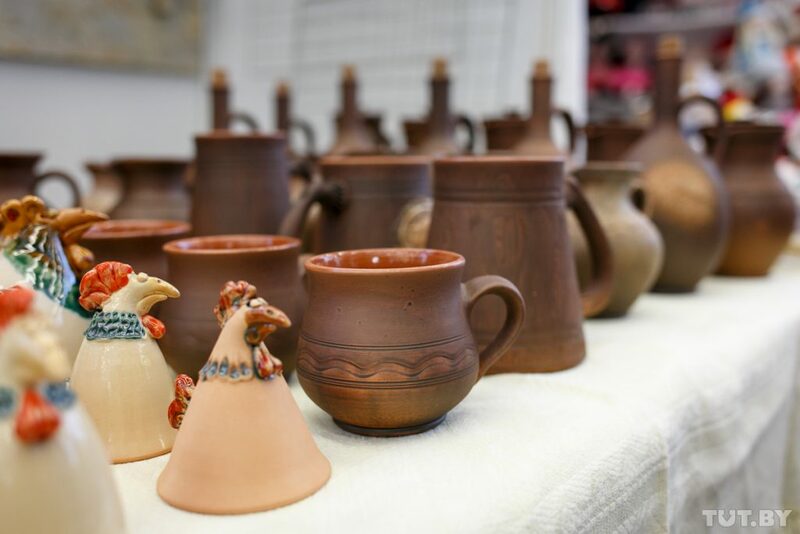 You are sure to find traditional souvenirs in the “City of Craftsmen” at any national feast or festival. 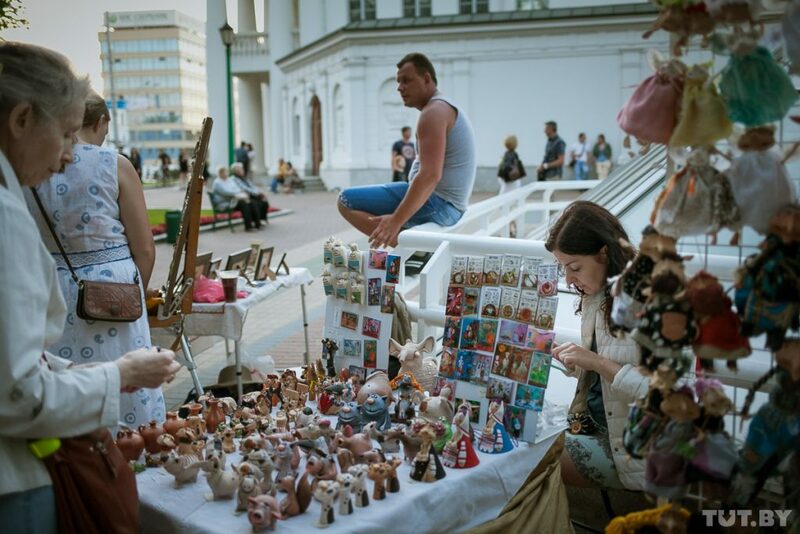 In Minsk, you will find traditional gifts at Slavutast gallery, the Gallery of National Arts and Crafts, Kirmash, in small souvenir shops at Svoboda Square near Minsk Town Hall, in GUM and TSUM stores, in large malls like Stolitsa. Have no time for shopping – purchase some souvenirs on your departure at bus and railway stations, and in the Minsk National Airport. In Mir Castle, Nesvizh and Gomel Palaces, Brest fortress and other landmarks they usually have souvenir shops with unique Belarusian products. 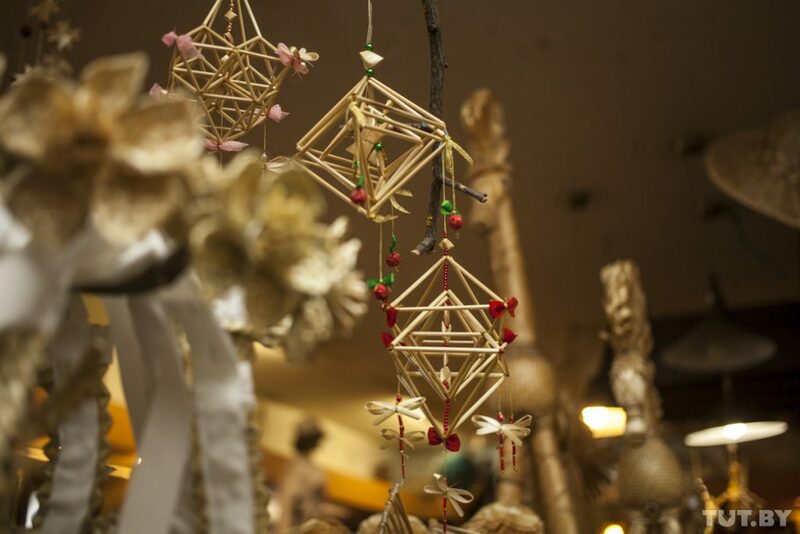 Besides, you can find a lot of traditional items produced by craftsmen and sold by them just near the sights. As for prices, they vary a lot starting from $1-2 for straw figurines and bells up to $150-200 for bed linen and tableware sets. In general, craftsmen offer lower prices than shopping centers but the quality of gifts may differ. In any case, keep in mind that it’s not the price that matters but the meaning and authenticity.